Flooding has been increasing in areas across the country, which is forcing historic site owners to consider how to protect their historic buildings from rising water. 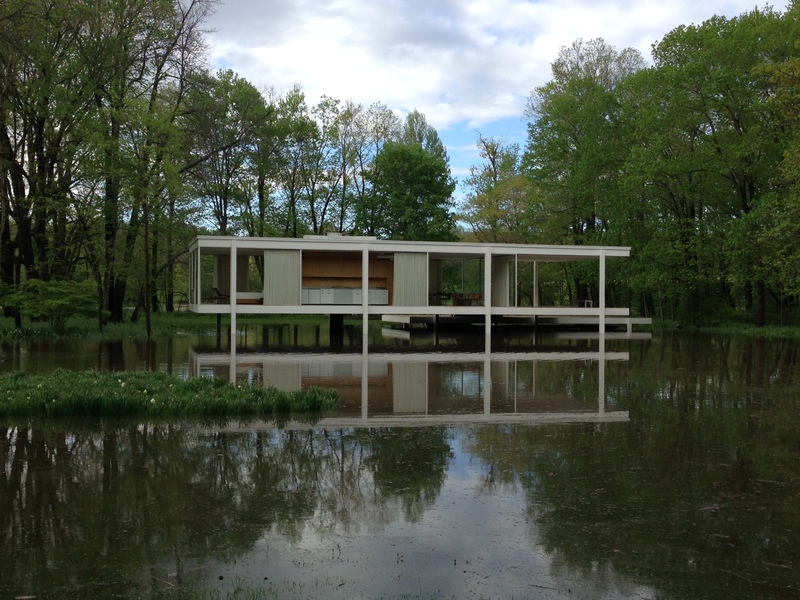 At the National Trust for Historic Preservation, one of the sites most greatly affected by increased flooding is Farnsworth House in Plano, IL. This modernist building, designed by Mies van der Rohe and constructed in 1951, has always experienced site flooding but flood models indicate the occurrence and severity of the flooding will increase, inundating the interior of the building, causing continual damage to the building’s materials and systems. Through the study about how to protect Farnsworth from rising floodwaters, a great deal of information about different flood protection options has been gathered. With funding provided by a National Center for Preservation Technology and Training grant, the National Trust has worked to expand what has been learned from Farnsworth to help other owners of historic buildings navigate the various flood protection options and determine which option is the best for their historic building. The flood protection options considered here are most relevant for buildings that experience floodwaters less than 15 ft. deep. For floodwater depths greater than 15 ft. deep, the only real option is relocation. For many of the options, the building footprint should be less than 5,000 sf. Building footprints much larger than this will require additional analysis to determine which options are viable. For all elevation options, it is assumed that the building will be elevated at least above the highest expected flood level (typically the 500-yr flood). For many of the flood protection options, warning time is needed to set up or mobilize the protection system. For this reason, these options are not relevant for buildings that most often experience flash flooding. Consult licensed engineers and architects to confirm the solution is appropriate and feasible. Consult your local building code and supplements to learn about any code restrictions. Determine if special permitting from the Army Corps of Engineers or other relevant government agencies will be required and can be acquired to build in the floodplain. If your building is historically designated, work with all relevant government agencies (Dept. of the Interior, SHPO, or local historic commission) to prevent loss of designation.